There’s a unifying theme to Grand Seiko’s 2019 collection – and no, it’s not the exquisite dials or case work, though those are all very much in evidence. No, this year it’s all about the mighty Spring Drive, a movement (which we’ve explained here) that is unique to Grand Seiko, and appropriately enough, 20 years old. There’s a new take on the most complicated Spring Drive of all, the 9R96, with a GMT and Chronograph. This year we see it like never before — in a watch that’s a suitably plus-sized tribute to Japan’s most famous monster, Godzilla. The SBGC231G is a truly gargantuan titanium watch that is about as statement watch as they come. No, the real evolution of the Spring Drive family is a new movement, the 9S63, a manually wound offering that sees small seconds and power reserve neatly balanced across the dial, which — thanks to that superb dial execution — results in a watch that’s a joy to look at. And thanks to the slimmer case profile (11.6mm), the watch is a joy on the wrist, too — the domed sapphire and rounded bezel certainly help in this regard. 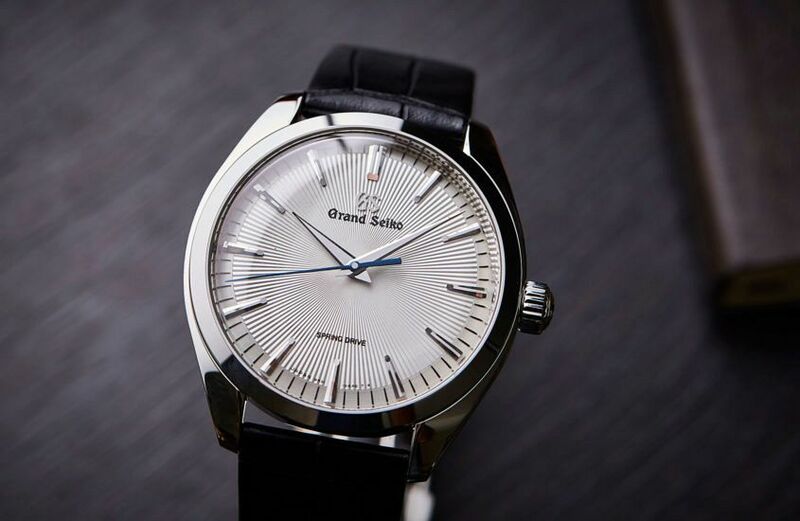 Grand Seiko’s offering has been increasingly streamlined over recent years, as they continue moving ahead with their ongoing global push. You can see this in smart, crowd-pleasing pieces like the manually wound Spring Drives. But the brand is also remembering to keep its hand on its heart, and honour its heritage (and its very loyal collectors) with some special limited editions.